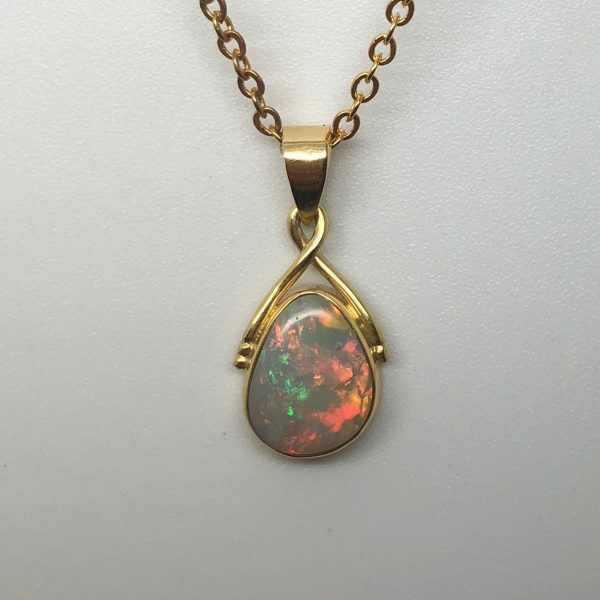 18ct Gold Solid Opal Pendant. 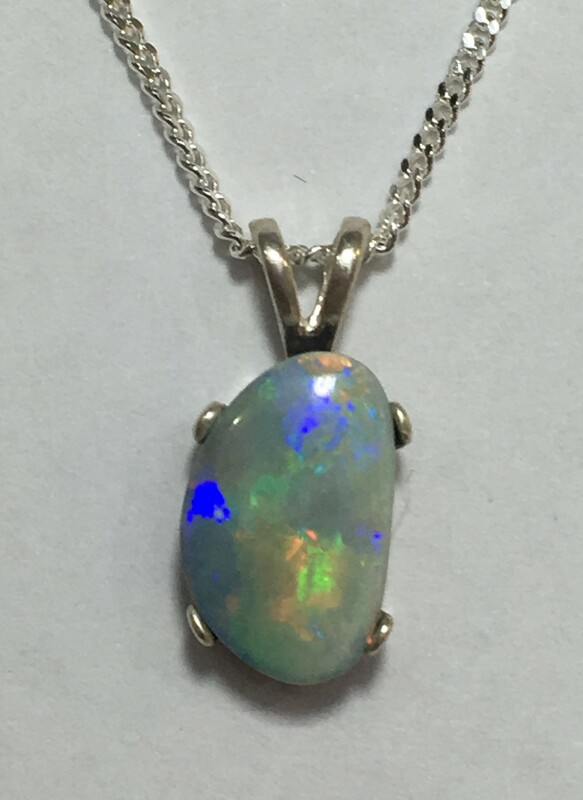 This beautiful piece of opal jewellery was hand made in the Gold Coast, QLD, with a solid opal mined in Lightning Ridge, NSW. 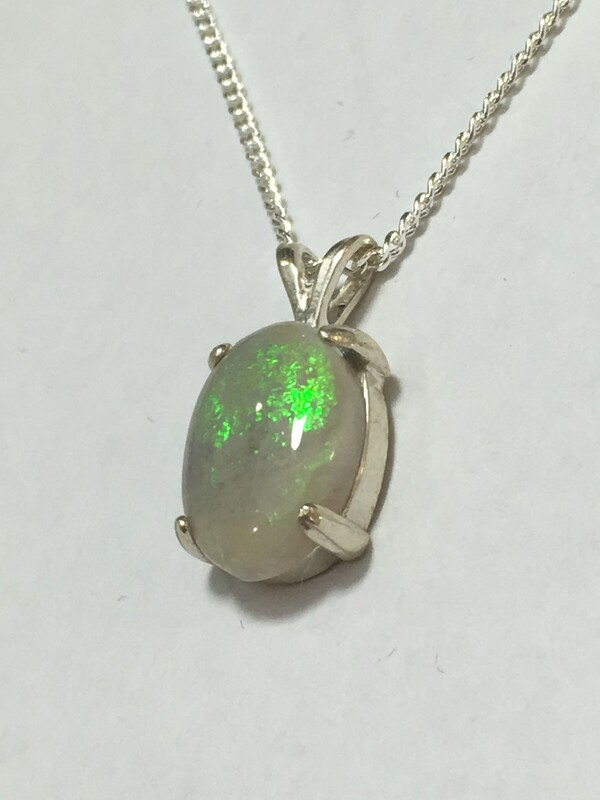 The opal is approx. 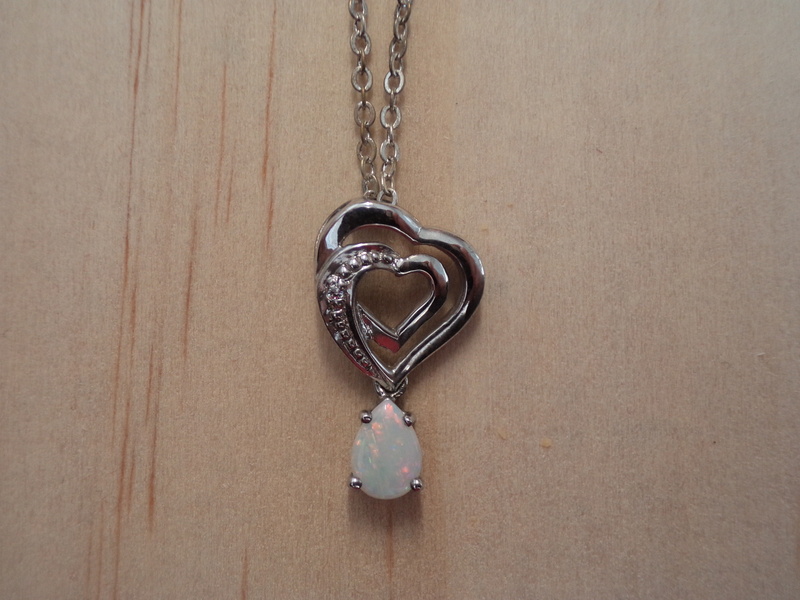 10mm by 8mm at its widest point.